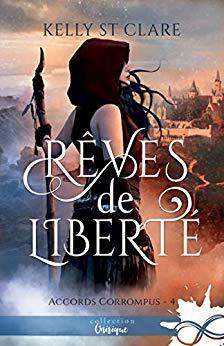 The French version of Fantasy of Freedom, book four in debut series The Tainted Accords, is now available! I can’t tell you how it makes my heart feel to have my book baby translated into other languages. It makes me speechless that other languages and cultures can now read my work. If you want to check it out, click here. Even if it is just to look at the cover, which I drool over. No shame!